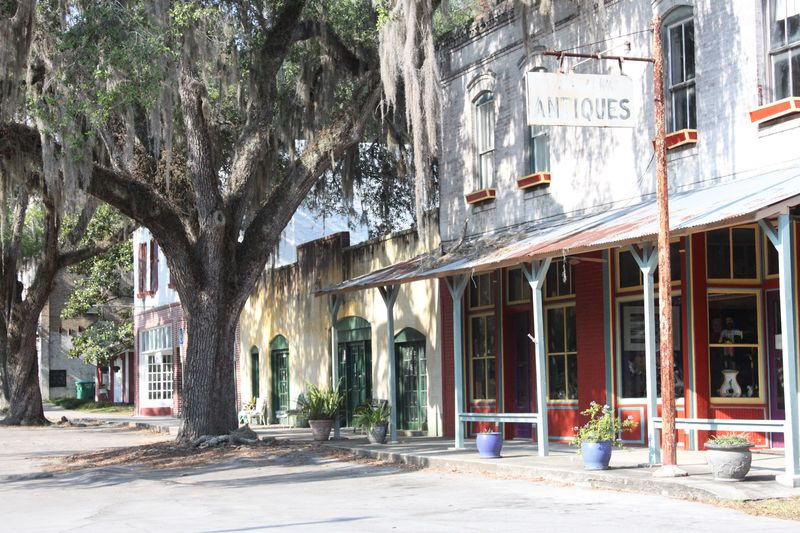 Micanopy is located in the southern most part of Alachua County, 12 miles south of Gainesville. Just a short distance away is the University of Florida, Santa Fe College, Malcolm Randall VA Medical Center, Shanda at the University of Florida and North Florida Regional Medical Center, all major sources of employment, education and health care. Micanopy has grown to become a community of fine homes, schools, and a popular tourist destination while maintaining the small town atmosphere. Along with the many homes being restored, this small close knit community boasts an array of historic landmarks, the Micanopy Historical Society Museum, and a variety of shops of art, rare books, antiques, casual eateries, and two of the finest Bed and Breakfasts in the area. The annual two day event, Micanopy Fall Harvest Festival, draws thousands of local visitors who enjoy food, arts and crafts.